Do we have a new poster Limoncello? I see [thanks] by said member (e.g. here, here, here). :newjoinerjoy: But I do not have permission to access the relevant member page and there's no Limoncello in the Members List. So - a creation of ChuckF's? the forum software has achieved self-awareness? or a genuine new poster, possibly waiting for activation and not able to post yet (somebody wake up an admin)? Re: Welcome Limoncello! ... whut? No poster in the history of has been so mysterious, so much discussed, so long awaited. So long a lost being in the long dark night of the poster awaiting incarnation and birth. Mind you, as of now you have given 179 thanks and posted 1 post. That's probably an all-time record ratio (if we ignore your previous record of / NaN) and you'll only mess it up if you make a 2nd post. None of those thanks went to Peacegirl! 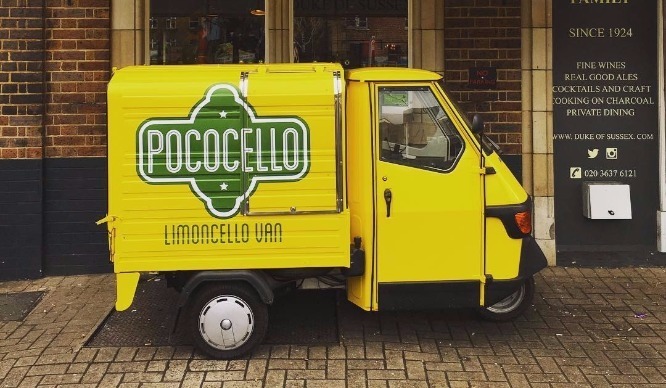 We should have a Limoncello van smiley. I'm not planning a lorry attack anytime soon. Hey, maddog...It's good to see your moniker on the board here. I must admit to a slight concern. maddog chose this thread to manifest in. And so far only appears able to communicate with short phrases or with smilies. Which is perfectly reasonable in itself, a solid basis for arts and sciences as we know well ... but maybe there is some kind of problem? Are we going to need a maddog séance thread?